The previous edition of this book has been widely adopted internationally by the petroleum and mining industries and by geotechnical engineers as an authoritative guide for use at the wellsite, in the laboratory or office. 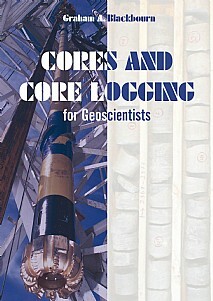 This new edition has been brought up-to-date and incorporates modern developments in coring techniques and core handling. All aspects of cores are covered including cutting and recovery; wellsite handling and logging; recognition of coring damage; laboratory analysis; logging and sampling; preservation and storage. Logging and interpretation are dealt with in detail, encompassing structural and engineering investigations in addition to sedimentology. Emphasis is laid throughout on those features most important to the economical development of geological resources. Because the methodology is dealt with extensively, the reader with a background in sedimentology, geotechnical engineering, petrophysics or a related subject is able to put the principles and techniques of core studies into practice. As such, the book will prove invaluable for those working with cores and anyone who uses information derived from them. The book will be an essential guide for oil company geologists and sedimentologists; sedimentological contractors; geotechnical engineers, engineering and mining geologists and hydrologists; lecturers and senior students in economic and applied geology. Professionals and academics in petroleum engineering will find the book a helpful source of information.